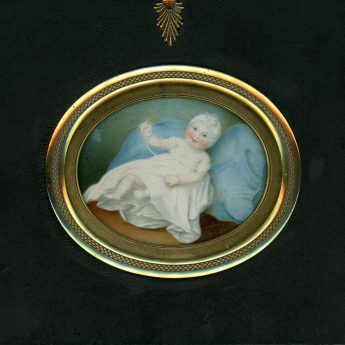 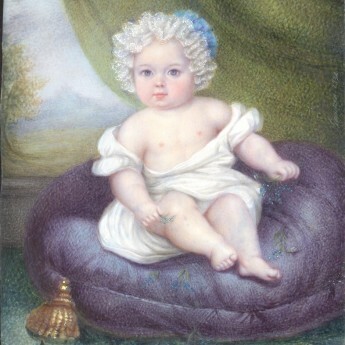 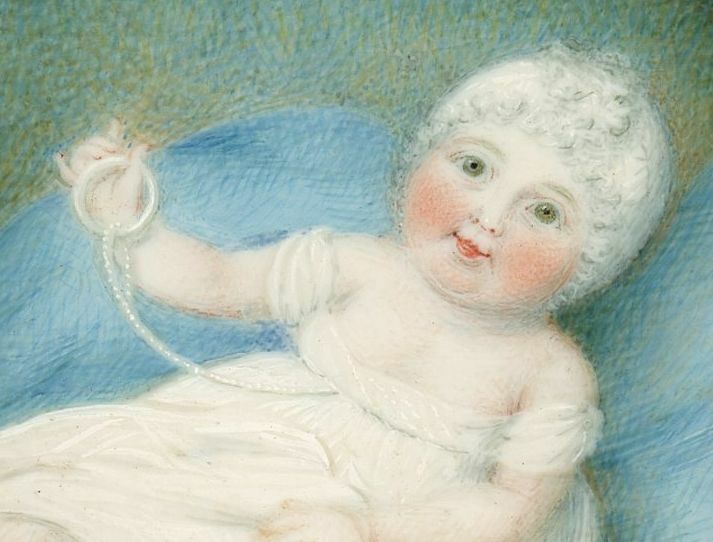 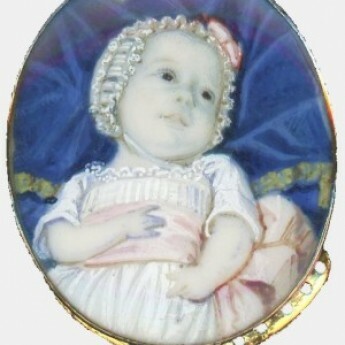 A charming portrait of a smiling and chubby-cheeked baby in a white muslin dress and lace cap holding aloft a teething ring and lain on a large blue cushion. 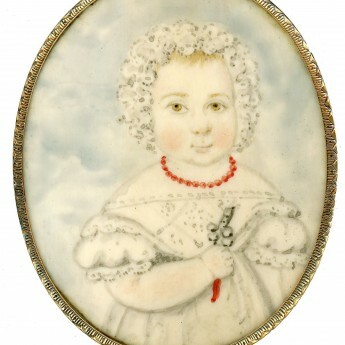 The portrait is set withing a gilt metal mount in a traditional papier-mâché frame with a decorative surround and a star hanger. 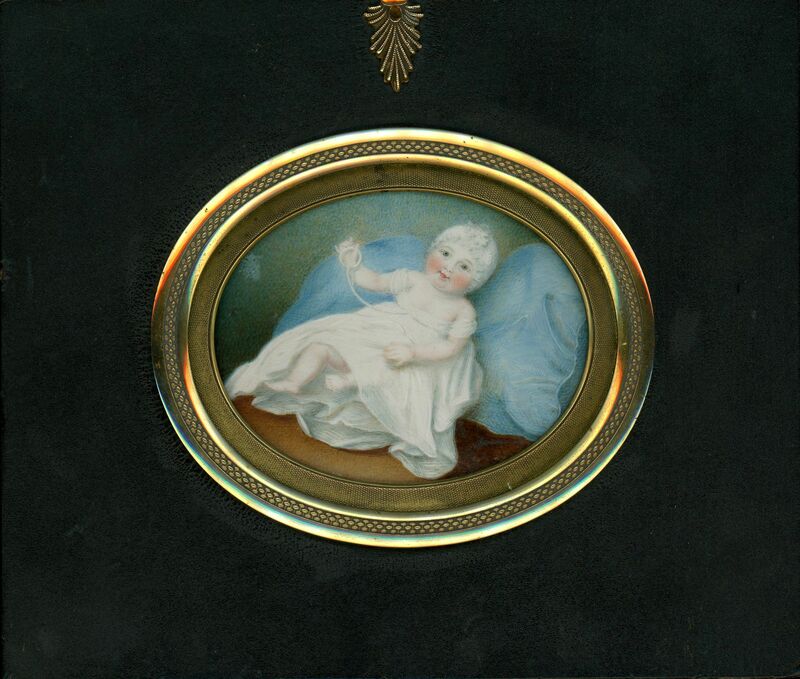 There is a small area of smudging to the background paint just above 9 o’clock but otherwise the miniature is in fine condition.